In his art, Casey Gray explores how people cope with the visual overload of the modern time. Born in 1983 in Palo Alto, California, his artworks emphasize the visual collision of every day’s scenery of content, the incremental data we are being submitted to each day through the extensive use of technology. All the while, the artist is finding a way to better understand his own self, with the use of techniques for street art. Moving boundaries of traditional art, Casey depicts traditional imagery in a unique style. The artist is inspired by Flemish floral still life. However, he has taken a different turn to this classic style. Instead of brush and oil, Casey redefines art by using spray paint indoors, and – he is not a street artist. 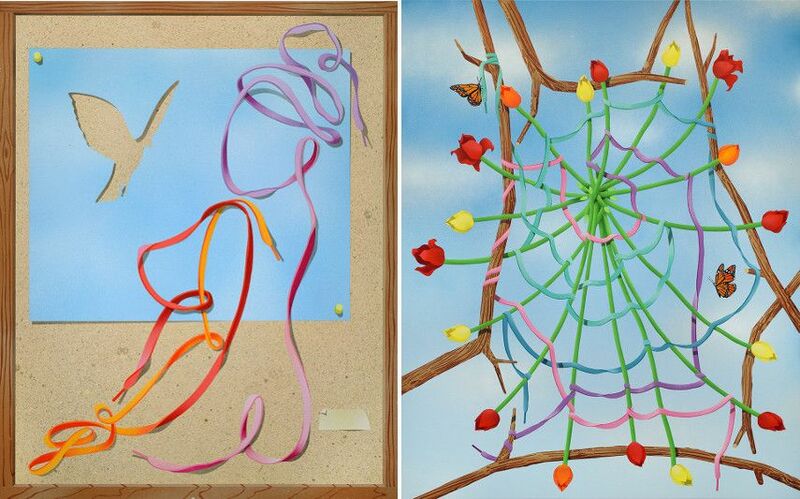 In this unique way, the artist is merging tradition with modern day techniques. His unique style utilizes spray paint and hand-cut masking techniques to make his still-life compositions. The grip tape experiment he undertakes makes his art enticing, to say the least. With the precision of his work, Casey negates stereotypes of the loosely spirited artist. His stencils are cut to precision and executed with diligence. His work is not only aesthetically pleasing, by also explores the complexity of the contemporary visual experience due to the historical references. Casey’s work is filled with symbolism, showing remarkable acumen in cultural and anthropological references that resonate well with the spectator. His paintings filled with objects from modern life that epitomize its ephemeral nature, the artist engages the viewer in searching for relations through material identity. Gray arranges a visual excess into an intricate tableau, in search of physical balance, and he manages to achieve a delicate harmony. Within the past year, demand for Gray’s work has increased as have his prices. Opening night for his show “The Style of Eye” at White Walls Gallery was indicative of this. 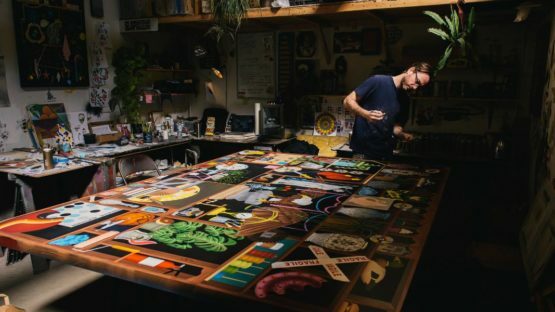 Nearly 60% of the artist’s work has sold within the first few weeks of his “The Style of Eye” exhibit premier, a sign that his aesthetic is being well received by the art market. In 2010 he received his MFA in painting from the San Francisco Art Institute. His work has been included in group shows at Circuit 12 Contemporary, Dallas; Breeze Block Gallery, Portland; Nudashank, Baltimore; Gallery Yves LaRoche, Montreal; 941 Geary, San Francisco, among others. 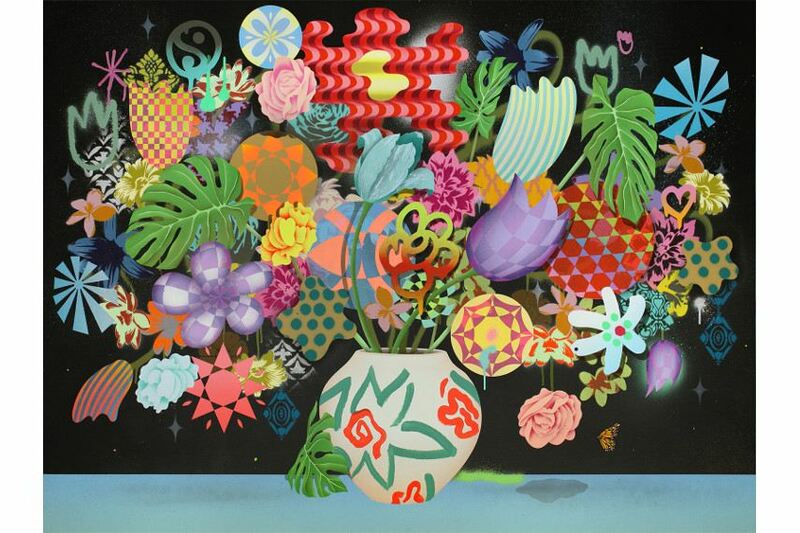 His solo exhibitions include TROPIC (2013), Garden Party (2012), Style of Eye (2011) and Ill Romantic (2010) all at White Walls in San Francisco. 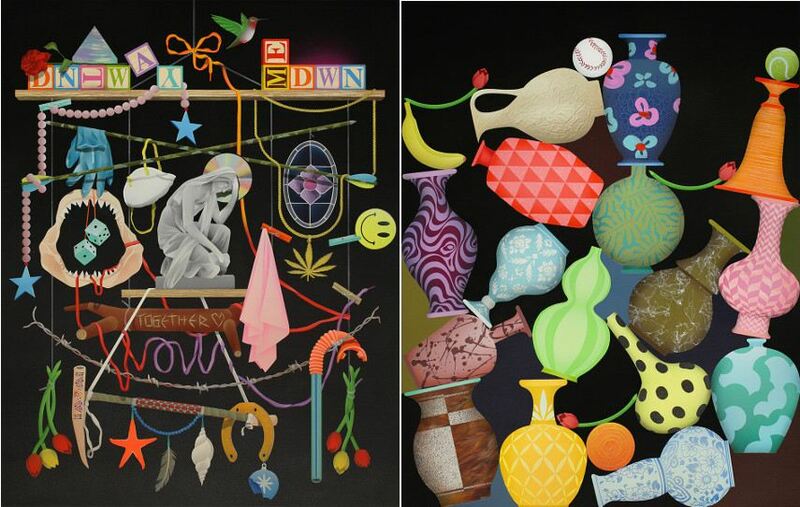 The artist’s solo exhibition ‘’Double Knotted” in San Francisco culminates in a monumental painting entitled The Pursuit of Happines which depicts a decorated cabinet, cluttered with items of the past as well as the present. The artist’s work personifies everyone’s life and thoughts interwoven with the past, anticipating future, caught in the present. Each object in the painting contains significance from various cultures and histories. This collective memory is innate to every nation and all people, and Casey is presenting this in such an elaborate way. The exhibition title Double Knotted refers to the shoelaces intertwined throughout Gray’s ornate compositions, and also could refer to the collective memory we are all bounded by. Casey Gray is represented by Hashimoto Contemporary. The artist lives and works in the USA. Featured image: Casey Gray – portrait at his studio – photo courtesy of Hashimoto Contemporary. All images courtesy of Hashimoto Contemporary.